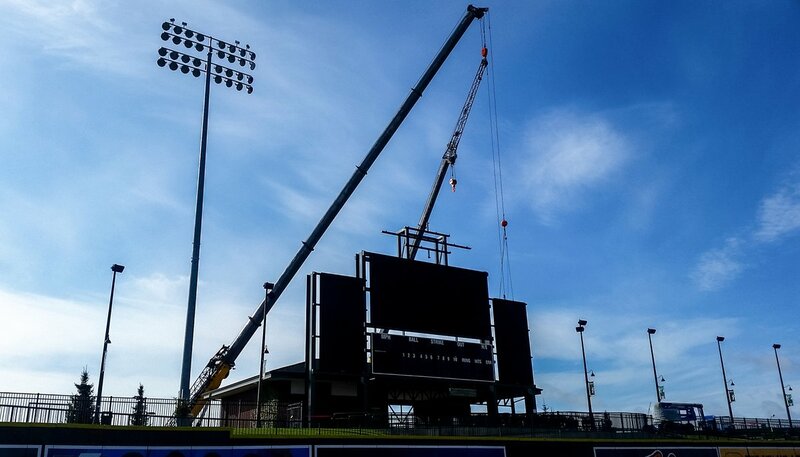 An artist’s rendering of the new video scoreboard that will soon be installed at Dow Diamond. 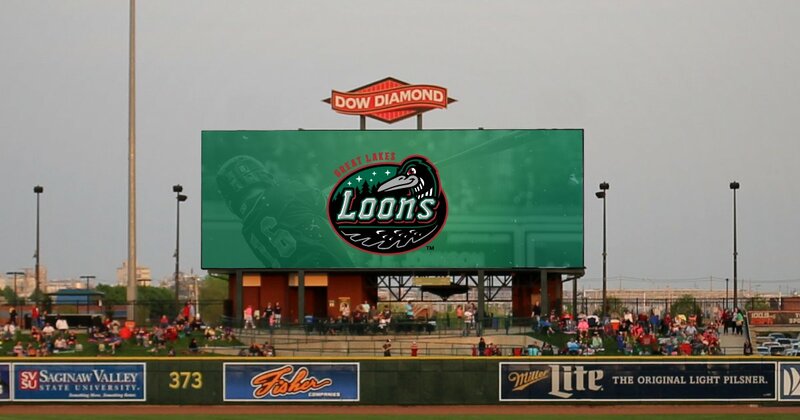 Dow Diamond, home of the Great Lakes Loons, will soon have a new video scoreboard. The original scoreboard, installed when Dow Diamond opened in 2007, is 17 feet tall and 36 feet wide. The new one will be 31 feet tall and 80 feet wide, providing a video display of over 2,500 square feet — equivalent to 235 60-inch television screens. The Loons are also adding 3.5-foot-by-120-foot ribbon display boards on each base-side for player statistics and other video elements. Those boards will be attached to the façade of the suite level. Removal of the original scoreboard began Thursday. 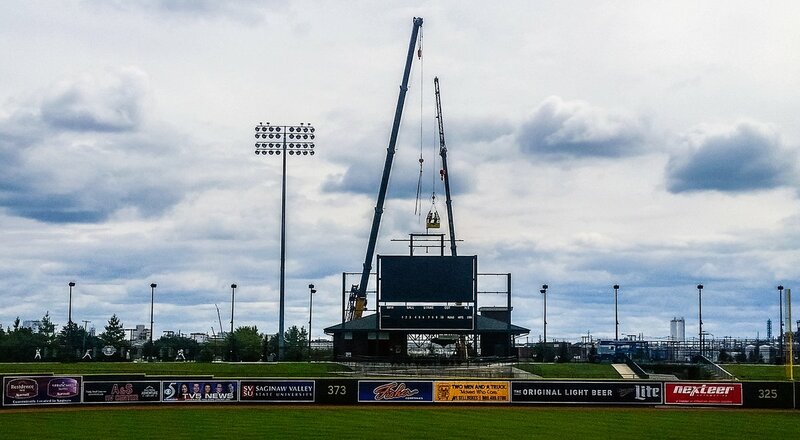 The Dow Diamond sign atop it and the side panel boards have been removed so far, as seen in the next two photos. You can see a photo of the original scoreboard as seen at this year’s Midwest League All-Star Game here. This entry was posted in 2017 All-Star Game, Great Lakes Loons, Midwest League. Bookmark the permalink.